The clergy and people of St Basil's Cathedral Parish invite you to join us in prayer and fellowship. We are a locally governed community, worshipping in the Western Rite Orthodox tradition. We celebrate the Divine Liturgy every Sunday at 9.30 a.m. All are welcome! We are joyously orthodox. We profess our faith in the Nicene Creed, and worship in a reverent way, with a liturgy rooted in Christian tradition. We don’t do this out of some sort of rigidity or nostalgia, but in joy. We recite the creed as an open hearted confession of what God has done in Christ and continues to do in us. The theological and liturgical tradition we have inherited is not a dusty collection of relics to be tossed out in favor of something more fashionable, but a deep and nourishing wellspring of life. 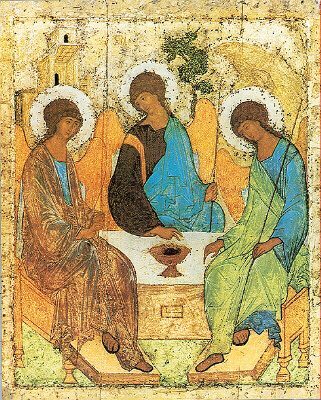 Orthodoxy, right belief and right worship, come from allowing ourselves to be increasingly transformed in Christ, in every moment. We are locally governed. As was the case in the ancient church, our bishop is our local pastor. When decisions need to be made, we listen together to the Holy Spirit and come to an understanding of how God is calling us as a parish. We surely look to all our Christian brothers and sisters with respect and friendship, listening openly to their witness for what we can learn from them, as we all strive to follow Jesus. But we cherish our freedom to respond to the Gospel, as it meets us here in Nashville. We receive our identity as Church from Christ, not from any human connection. We strive to display the hospitality of Christ. Whoever you are, wherever you have been, you are welcome here. We are not interested in the ways in which human society likes to divide itself. Who is in what category, what box? Who is good and bad? Who is in or out? Too often the church has fallen captive to such divisions. Our job is not to protectively shut the gates of the sanctuary, but to discern the call of Christ, and open the gates wide to all whom he draws to his wedding feast. St Basil's is a parish of the Holy Orthodox Church, American Jurisdiction ( HOCAJ ), founded in 1974 by Bishop Francis Forbes. We are locally governed and are not affiliated with any other jurisdiction.